Looking for a project during April vacation? 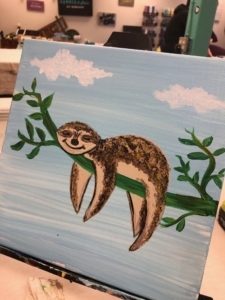 Come paint a super cute sloth with us! Fun for kids and parents!